SAN DIEGO --- Citadel Defense Company was awarded a purchase contract valued over $1M by the Defense Logistics Agency in support of USSOCOM requirements. 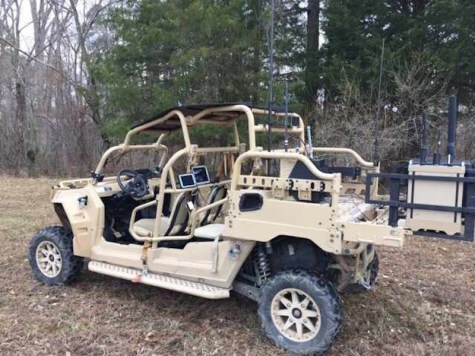 This is the company's sixth government contract for their award-winning mobile system that counters threat drones that have become an increasing problem to U.S. forces around the world. Through autonomy, proprietary machine learning and artificial intelligence capabilities, Citadel Defense creates a force multiplier for Warfighters that enables them to get more done with the same or fewer resources. With the deployment of Citadel's technology, U.S. Special Operations Forces gain a modernized capability designed and developed to evolve with the pace of the growing threat. Christopher Williams, Citadel Defense's Chief Executive Officer, said, "By working alongside the U.S. Government and hundreds of warfighters, we've fielded a capability that works today, at scale, and with minimal field support in the harshest operating environments. Through a close partnership with users, Citadel Defense delivers a drone protection solution for customers that is constantly improving, constantly incorporating user feedback, and constantly adapting to meet future threats and outpace our adversaries." Citadel Defense has emerged as an industry leader in developing, deploying, and integrating innovative counter drone solutions with its Titan product, providing fixed site, man-packable, and on-the-move protection that can effectively defeat drones without having collateral effects on warfighter communications or certain proprietary technologies. This provides our nation's Warfighters with advanced situational awareness to empower decision making and Force Protection to help keep Warfighters out of harm's way. When asked about plans for the company's future, Mr. Williams responded, "We look forward to building on the relationship that Citadel has developed with the many government customers we currently support. By providing highly specialized and precise technologies that require no signal expertise or training, we will continue to develop solutions that allow the warfighter or end user to focus on their most important missions without distraction."